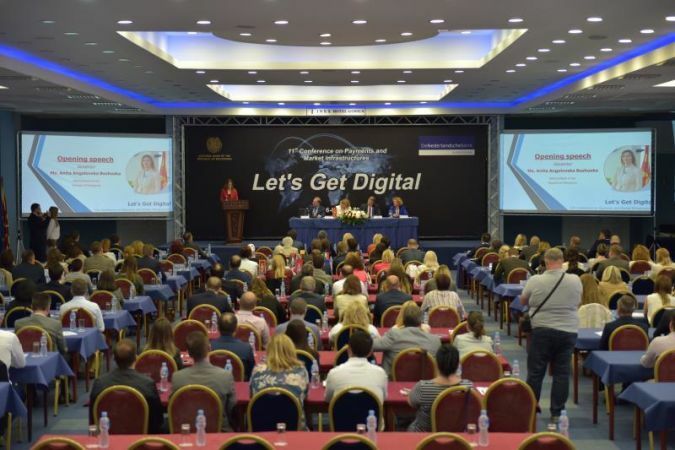 The National Bank of the Republic of Macedonia hosted the 11th Conference for Payments and Market Infrastructures: Let’s Get Digital in cooperation with the De Nederlandsche Bank, which was held in Ohrid, from 6th to 8th of June 2018. The Conference which has had an international character for many years will enlighten the ongoing global process of moving to a digital business and payments. Our colleagues Bijana and Aleksandar have participated in the conference to learn more about the latest digital trends in payments and market infrastructures. For more info, visit the following link.